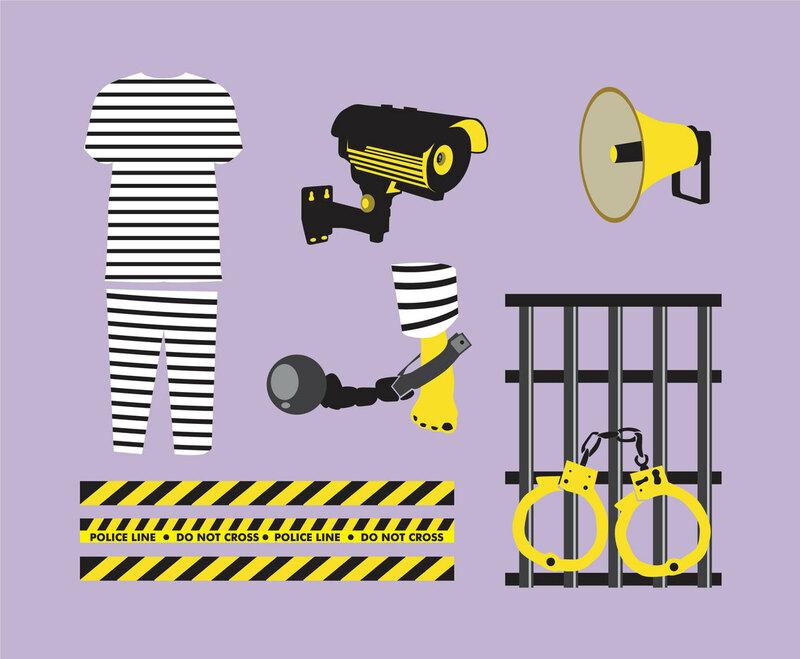 Several vector illustration that includes several things that commonly found in jail environment. You'll get security camera and speaker, the prison uniform, prisoner's handcuffs and detention equipment also the police line. You can use this vector element as part of design that may related to jail and its security.